Minx Coat can be applied under and over natural nails, polish, acrylics, and gels. Designed to be easy-to-use, the product requires no heat during application. 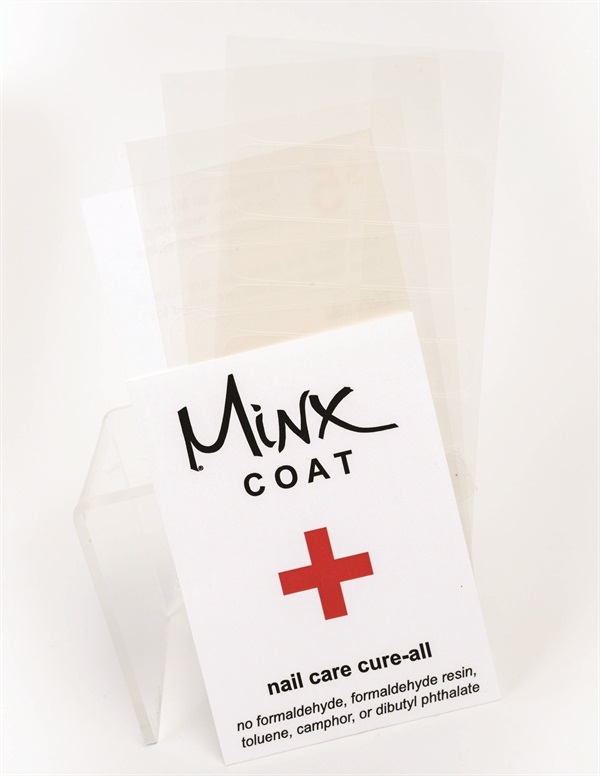 Minx Coat allows for an easy removal process in which the gel simply slides off with acetone leaving nails free of damage and staining, according to the company. When used under acrylics, the coat can be popped off with the help of a poly pro stick. It also doubles as top coat when paired with nail polish to provide shine and prevent chipping, and it can be used to protect painful broken and split nails. For more information, visit Minx .